Author promotion is an essential component of book marketing and can help you achieve more success with your comprehensive book marketing campaign. 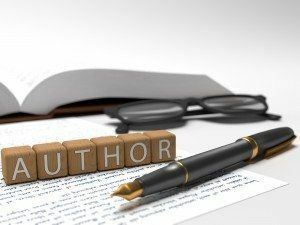 To produce more sales, consider these author promotion tips by Smith Publicity. Be consistent with your branding – From your website and social media profiles to your Amazon Author Central profile, you want to be consistent with your branding. Being inconsistent can confuse people and make it more difficult for them to connect with you online. If your name is John S. Smith, don't call yourself John S. Smith on your website and Amazon Author Page, and then Johnny Smith on social media. Rather, use the same name for every platform. Also, use the same username for everything like your email, website, blog, Facebook, Instagram, Twitter, etc. to maintain consistency. Organize book signing events – Book signing events are a great way to spread the word about your book, as well as interact with your audience. Depending on your genre and target audience, you can organize a book signing event at a school, library, bookstore or niche organization. Rather than simply sitting at a table and waiting for people to walk by and get a book signed, plan a presentation, read the best excerpt from your book, and let the audience ask you questions. Find more tips about planning a book signing event here. Utilize SEO – By utilizing search engine optimization, you can increase the visibility of your online author platforms and increase discoverability of your book. Identity which keywords will be most effective and the most frequently used by your audience, and incorporate them into every aspect of your online presence, including your website, blog, social media profiles and Amazon Author Page. Make sure your website, blog and off-site profiles are fully optimized and regularly updated. Connect with the media – Media outreach is one of the most important aspects of author promotion. Media coverage will get your name “out there,” increase your credibility and generate more book sales. When pitching ideas to the media, think like a journalist. Every journalist has specific subjects they cover, so tailor your media pitch for each journalist. Rather than simply promoting your book, make your pitches interesting and unique. Use yourself, the news and the elements surrounding your book as inspiration. Don't give up – As you likely already know, success does not happen overnight. Author promotion and book publicity are more marathon than sprint. Don't expect to see immediate results. If you remain persistent, your author promotion and book marketing efforts will pay off. Need help implementing these author promotion strategies? Smith Publicity is a world-renowned book marketing and author promotion agency with a successful track record of promoting self-published and traditionally published authors across all genres. Contact us today to learn about our author promotion services. So What Does “Traditional Media” Exactly Mean These Days When it Comes to Book Marketing?